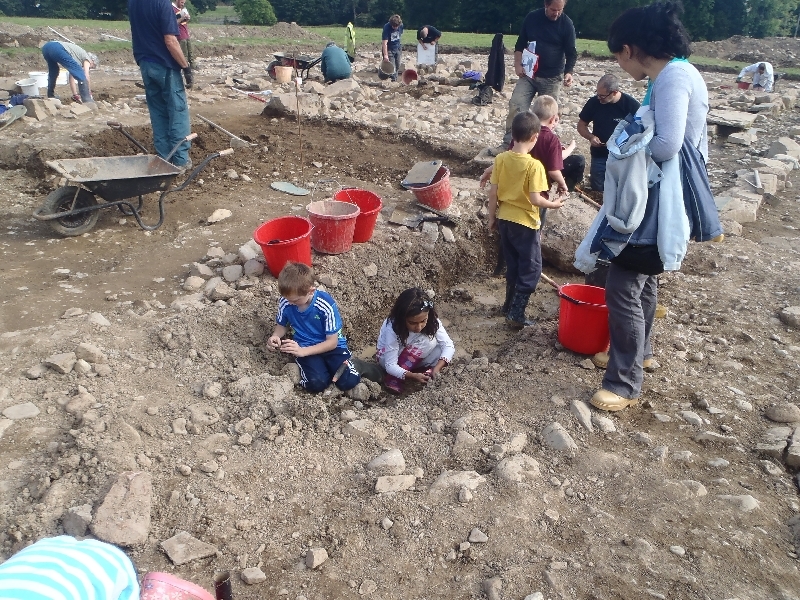 The Discovering Derventio project aims to engage children and families from the local community in archaeological investigation. 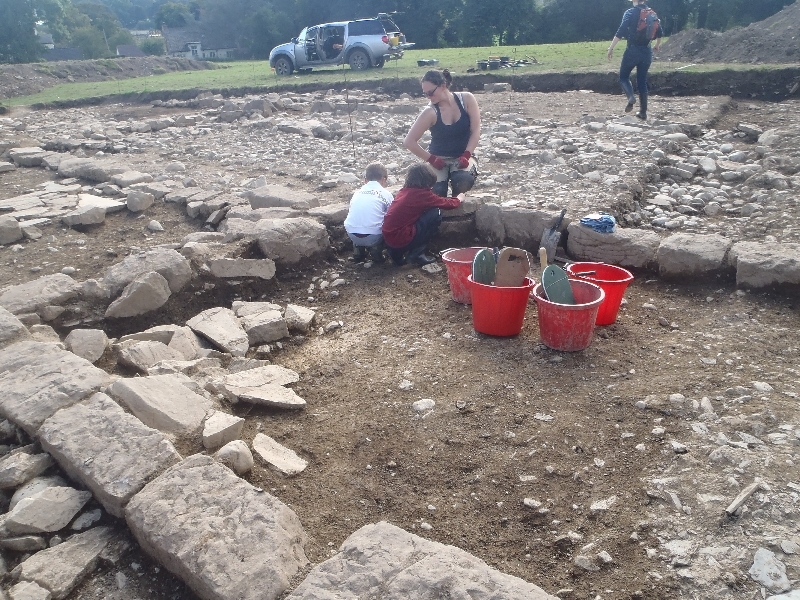 We partly achieve this through our open days at weekends, during which young families come and join us on site and contribute to our understanding of Derventio. 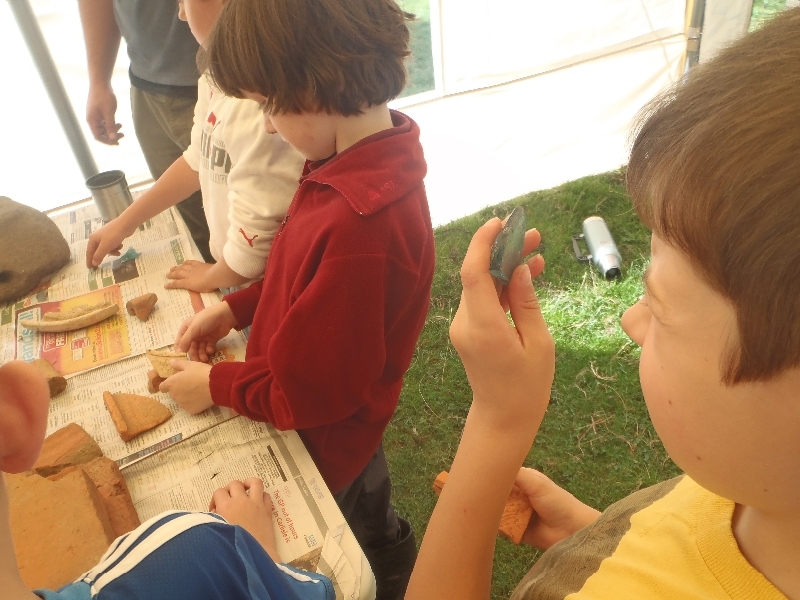 However, we are also working closely with the Senhouse Roman Museum who are running our education outreach programme, allowing primary schools to come and experience an archaeological excavation. 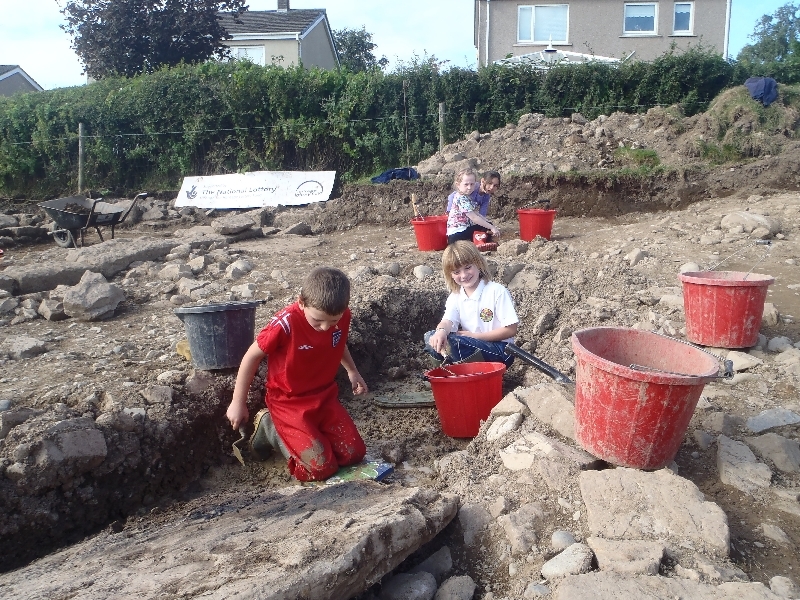 During the excavation that started in August 2013, several local primary schools joined us during the final weeks. 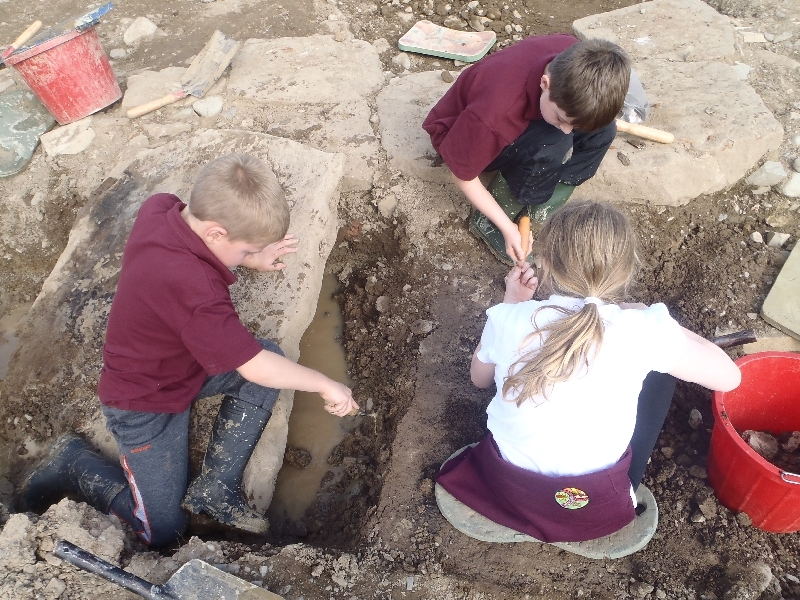 The children were able to spend some time on site, talking to staff and volunteers, trowelling alongside the team and making some interesting discoveries themselves. 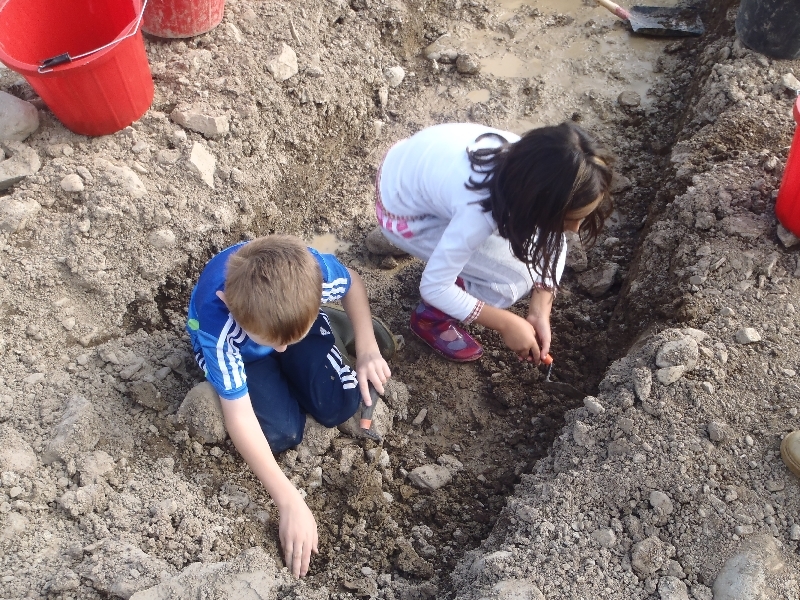 They also saw a part of the post excavation process in the form of finds washing. 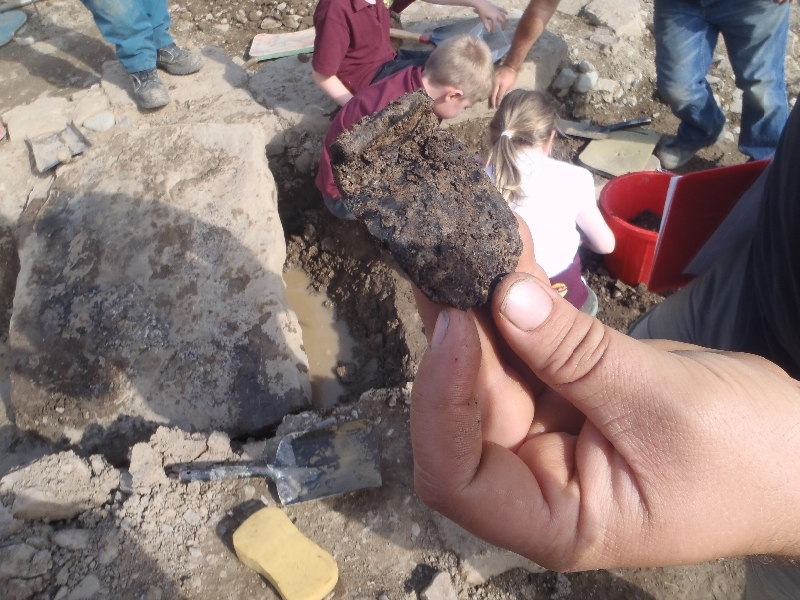 The children were able to handle the finds from the site, allowing them to feel the difference between pottery types, holding some Roman glass and looking at quern stones. This gave them an idea of what happens to the finds once they have been removed from site in their dirty, and sometimes very muddy, state. 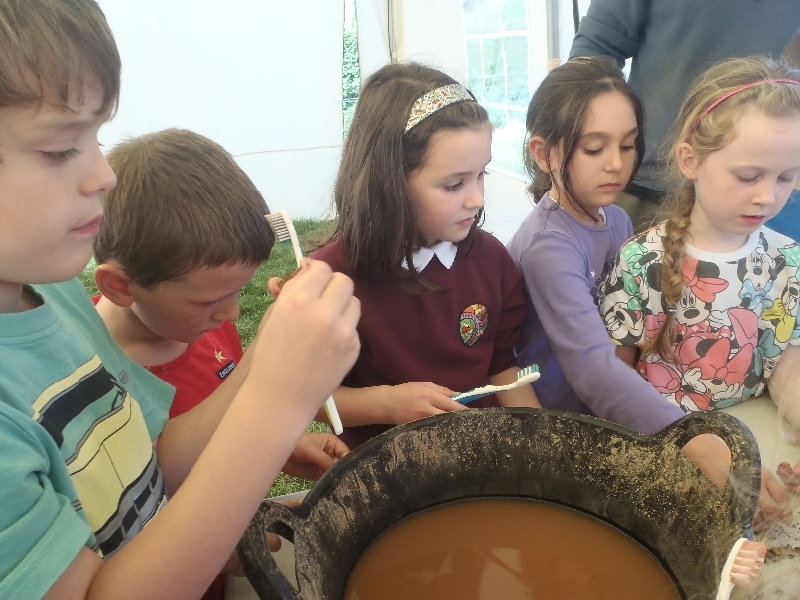 How many primary school children can say they have discovered and handled a piece of Roman pottery or glass that hasn’t been seen for centuries? Below is a gallery of a visit from Fairfield Primary School year 3. 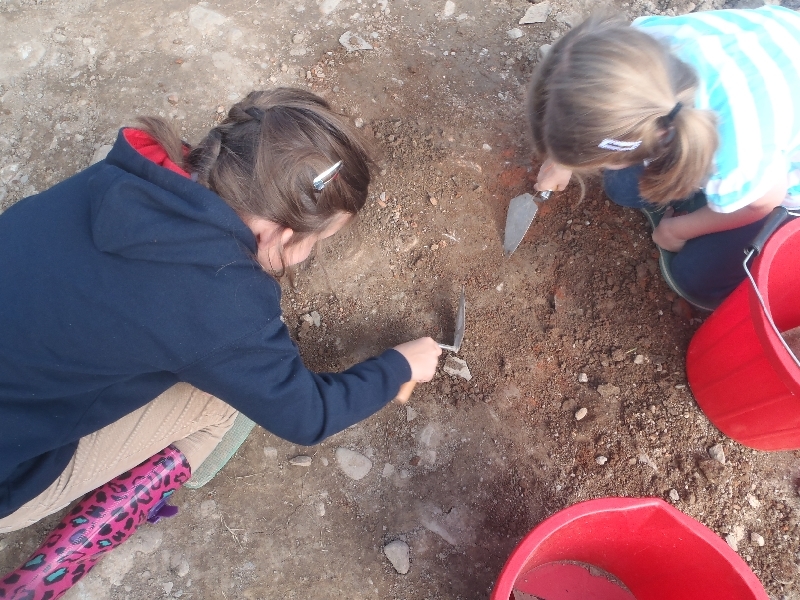 We would like to thank all of the school children and teachers for bringing such enthusiasm and energy to our excavations and for allowing us to use these photographs. 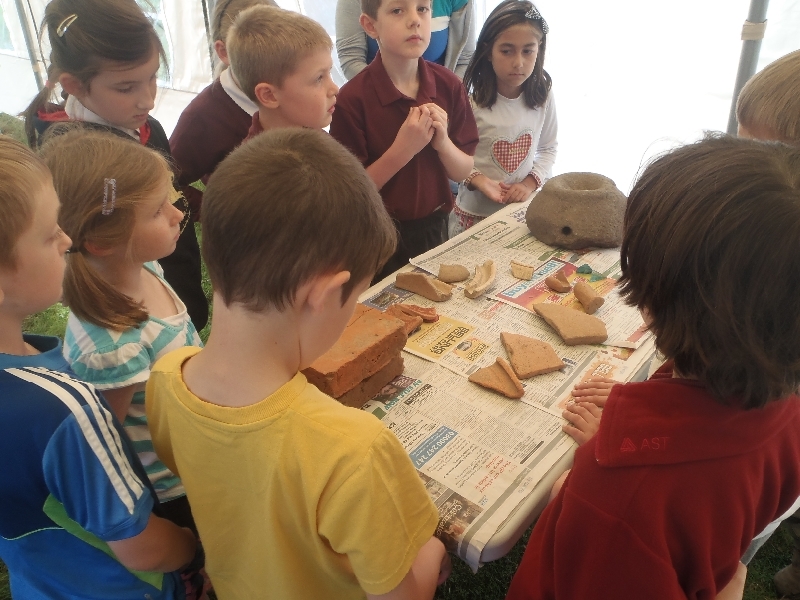 It was a real pleasure to have such interested children on the site and we look forward to more school visits during our excavations in 2014.